It becomes harder to juggle expenses when retirement brings with it less income. Cutting expenses is usually the best option for stretching dollars out when bringing in more income simply isn't an option. Where does your money go? Are you spending money every month on things you don't need (such as a gym you don't attend or a service agreement you never use)? If so, cut ties with those financial obligations and free up that money to use elsewhere. You probably already know all the typical advice for cutting expenses (follow a budget, clip coupons, etc. ), but tips specific to seniors are a little different. Some seniors have substantial savings accounts tucked away, yet struggle with monthly expenses because they don't want to touch their savings. While it's an excellent idea to have money stashed away in an interest-bearing account as an emergency fund (typically 3-6 months' worth of expenses), any funds beyond that are likely earning far less interest than you are paying on any debt you carry. Aim to pay off debts causing monthly expenses such as credit cards, car loans, or installment loans to free up more money monthly. You should keep more money in your savings account if you lack adequate medical coverage in case you get injured or sick and have extra expenses as a result. Before paying off your mortgage, consider the pros and cons of doing so. While it will certainly free up some funds monthly, you'll also lose the tax deduction on mortgage interest. Have a look at the maintenance for which you pay someone to do monthly. Are these tasks you can do yourself, or perhaps even request assistance for with children, grandchildren, or local senior help organizations? Lawn trimming services, snow removal services, house cleaning services, and dog walking services are just a few examples of expenses that can go away entirely if you can find someone to help you at no charge. If your adult children or other relatives have grown accustomed to you picking up the tab when you all eat out, or frequently turn to you when they need money, it's time to set some boundaries so you're no longer taken advantage of. If you frequently provide free daycare for your grandchildren, your adult child should supply you with diapers, formula, or any other supplies needed so the cost doesn't come out of your own pocket. If you regularly give money to your adult child to cover bills, it's time to have a frank conversation about how your income potential is far more limited than theirs and you will no longer give money as freely as you once did. If you often host family gatherings at your home, suggest potlucks instead of providing all the food and drinks for everyone in the family. If an adult child frequently uses your car (without filling up the gas tank or helping with maintenance), or lives with you rent-free (while eating your food and using your utilities), it's time to put your foot down. You can cut expenses as a senior without affecting the quality of your life. 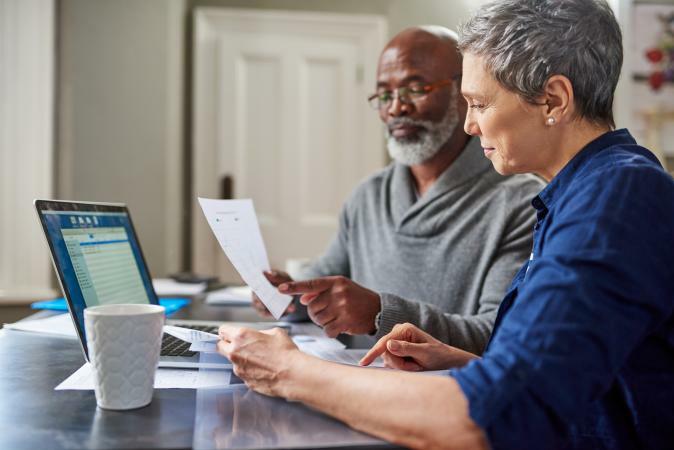 Stay away from any organization or individual making grandiose claims about erasing your debt or helping you legally avoid taxes - seniors are frequently targeted with these types of scams.